Mixtures of appropriate amounts of long chain (C14-C18) and short chain (C6-C8) phospholipids in excess water allows construction of lipidic nanoobjects of various morphologies. The most common is the disk-like structure of 20-100 nm diameter and 5 nm thickness. They are called Bicelles (bilayer bicelles) after Dr. Mary Roberts in 1984. Depending on the lipid/and anisotropic magnetic susceptibility and/or addition of lanthanides, they may be oriented by moderate magnetic fieds with the disc plane parallel or perpendicular to the magnetic field direction. They represent remarquable molecular goniometers in which many molecules may be embedded (charged lipid, sterols, peptides and membrane proteins. The discs that have been oriented with the plane perpendicular to the field may stay oriented for days even outside the magnetic field. Such systems are of valuable use for structural biophysic studies. Cellular membranes are generally not affected by moderate magnetic fields of a few Tesla. 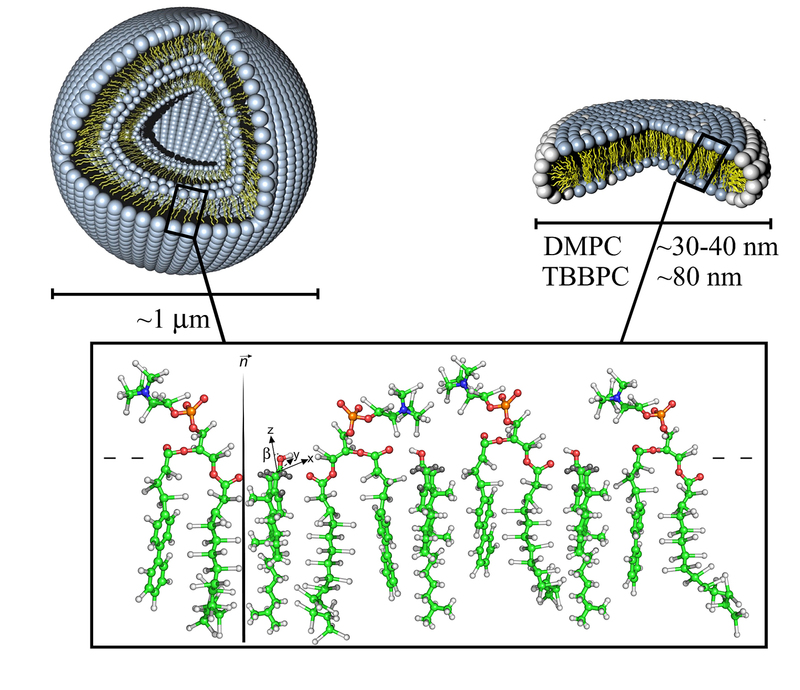 However synthetic liposomes (water multilamellar vesicles) made of phospholipids with saturated, unsaturated or biphenyl-containg chains may be deformed by high magnetic fields. The lipid anisotropic magnetic susceptibility may be positive of negative depending on the lipid molecular structure and lead, according to Helfrich's theory, to liposomes with very important prolate or oblate deformations. Wide line NMR lineshapes of embedded lipids is a very powerfull and simple technique to easily probe such deformations. These magnetic liposomes are potential tools for structural studies or drug delivery vehicles. Loudet, C., Diller, A., Grelard, A., Oda, R., and Dufourc, E. J. 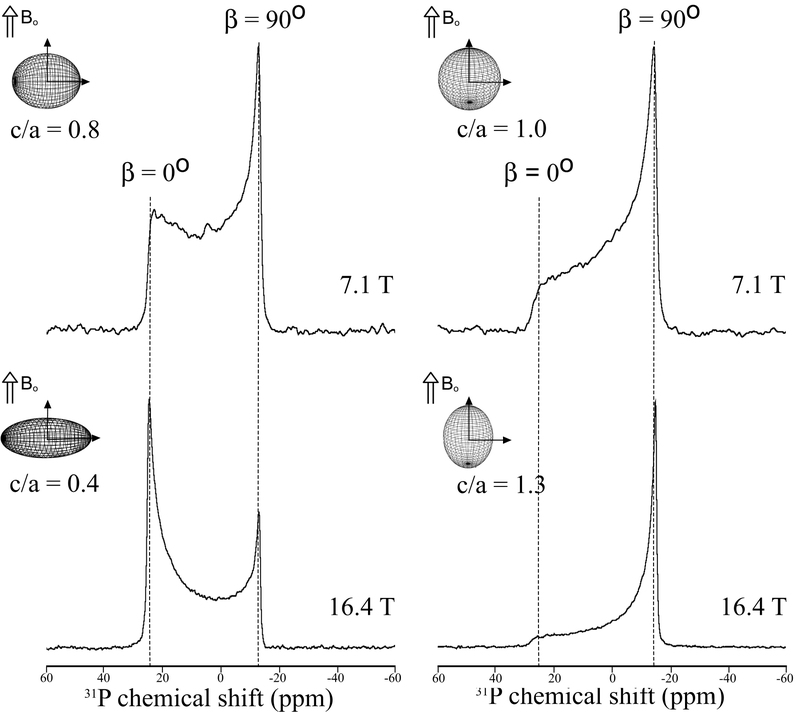 (2010) Biphenyl phosphatidylcholine: A promoter of liposome deformation and bicelle collective orientation by magnetic fields. Prog. Lipid Res. 49, 289-297. Steroids are ubiquitous molecules that are present in mammals, plants, fungi and bacteria where they strongly modulate cell or organelle dynamics. They are also key players in atherosclerosis. Cholesterols, phytosterols, hopanoids have a common action on membranes: they share the ability to regulate dynamics in order to maintain membranes in a microfluid state where it can convey important biological processes. Depending on the sterol class, this property is modulated by molecular modifications that may have occurred during evolution. Sterols may be present in dynamic membrane domains (rafts), antibiotic complexes, and have a role in protecting membranes from the destructive action of amphipathic toxins.